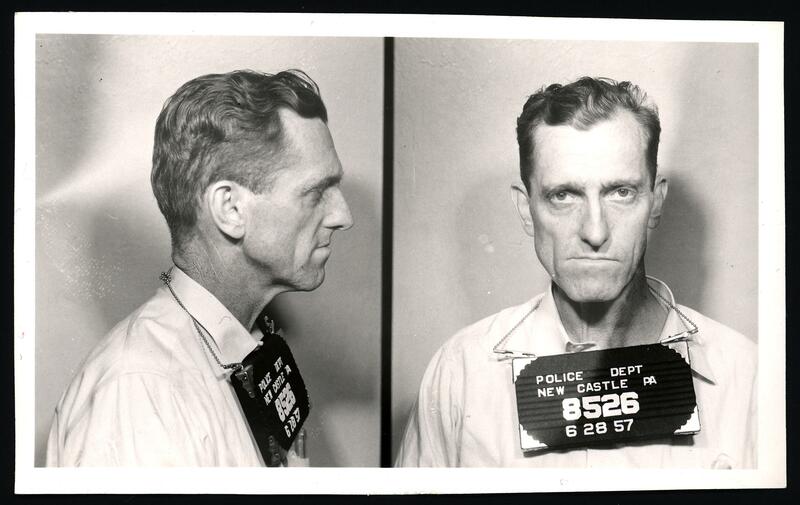 Floyd Armstrong, a fifty-five-year-old drifter who gave his profession as dish-washer, was one of several suspicious characters—including Charlie Tilden—who were arrested on the 27th and 28th of June, 1957, for loitering and various other minor infractions, pending further charges that might be brought against them. In the early hours of the twenty-seventh of June, someone had broken into two cars in the Castleton parking lot and tried, but failed, to hot-wire them. Little damage was done, and nothing was stolen. Later that day, thieves entered the home of Charles Gallagher on Willard avenue, via the rear screen door, and stole a roll of pennies, an envelope containing $1.50, a jar of old coins, four boxes of .22 shells and half a box of .32 shells. The police had nothing to go on. Floyd and the others were released. The true culprits were never apprehended. Sources: New Castle News, 28 June 1957.